Compatible Black Toner Cartridge with 7,500 high capacity page yield. Equivalent to Brother part number: TN670. 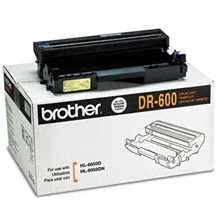 Fits the following model(s): Brother HL-6050, Brother HL-6050D, Brother HL-6050DN, Brother HL-6050DW. 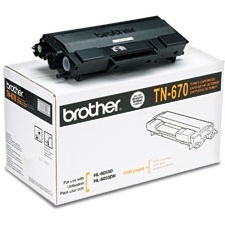 Buy our high quality compatible toner for Brother HL-6050 with confidence. Join thousands of happy customers who have found our compatible products are equivalent in page yield and print quality. For our compatible products, we offer a 100% Satisfaction Guarantee allowing you to return products within 6 months if you are unsatisfied. Monochrome printers are easy to come by, but the right monochrome printer can be hard to find. If you need a workgroup laser printer though, the Brother HL-6050 might be the right machine for you. With a small footprint of 15.7x16.7x12.2 inches, you will find that this machine will fit very easily in your office. It does weigh 32 pounds with the Brother toner installed, which isn't the most lightweight machine on the market, but it should be easy enough to move if necessary. Envelopes, plain paper, foil paper, recycled paper and labels all have the ability to be printed on, and duplex printing comes standard. USB and parallel connections are the only ones offered. This monochrome printer needs only one black Brother HL-6050 toner cartridge in order to operate. This black printer toner will last you about 7,500 pages before needing to be replaced and costs significantly less per page than Brother ink. Using the Brother HL-6050 toner, you can reach resolutions as high as 1200x1200 dpi, and you can print up to 24 pages per minute. If using the duplex printing option, you can only print about 6 pages per minute. Replacement toners are inexpensive and relatively easy to find online or in local supplies stores. Reviews of the Brother HL-6050 show that this is a quality product to add to your midsized office. Most find that the paper capacity is more than enough to fit their needs, and the expandable memory upgrades are good for growing businesses. Users love how fast this machine is, and most find that the machine produces very high quality prints. One of its most applauded features though is its low costing replacement Brother HL-6050 toner cartridges. A few consumers complain about the printer's overall look, and a few find that graphics printing could be better. 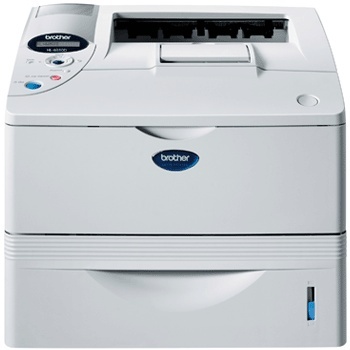 But overall, the Brother HL-6050 is an affordable unit that provides solid quality and quick speeds.